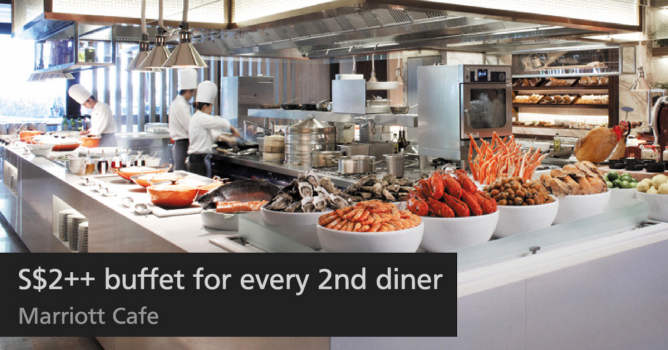 Location: Marriott Cafe, Singapore Marriott Tang Plaza Hotel, Lobby Level, 320 Orchard Road. Prices are subject to 10% service charge and 7% Goods and Services Tax (GST). Black-out dates will apply.